Holiday.gr - Vytina, a trip to a myth! It is situated in a verdurous location, on the banks of mountain Menalos, in a 1000m height. It has dense vegetation, running waters and a really healthy climate. It is not accidental that until 1940, Vytina had two sanatoriums, where people with thorax problems were cured. The village is 44km from Tripoli and you will see it on the highway of Tripoli – Olympia – Pyrgos. Vytina, the capital of the homonym municipality, is a settlement with age-long history. According to the tradition, the village was established in 350AC, after the catastrophe of ancient town Methidrio. At first the settlement was close to Damaskinia. But the cold climate forced people to leave and establish a new settlement near the bridge of Zarzi. There are two versions for the provenance of the village’s name. According to the first one, the word vytina comes from the word vythos (bottom of the sea), as the old town was built inside a basin surrounded by hills. While the second one says that the region was inhabited by Slavs who gave this name. Vytina offered major help to the war of independence. During the 1821 war the bakeries of Vytina gave bread to the army. Many great fighters and soldiers came from the region. The armies of Ibraim set Vytina on fire seven times and caused many catastrophes to the village. Fortunately people survived and built the current village, which flourished through the years followed. It was the trade center of that time. Especially during 1920 – 1940, when the Dasonomic School functioned in the region. From the time of possession and after, the region started to decline financially, due to the emigration of its residents. Today Vytina is in a phase of resurgence. 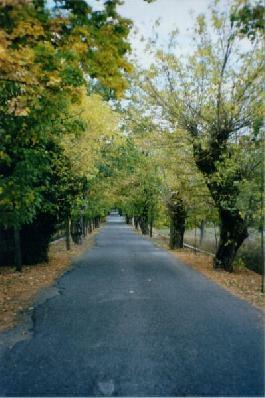 The structural and tourist activity have made the village a famous tourist resort. The town location in the heart of hilly Arcadia, the traditional way of life, the climate and the contact with nature attract many visitors every year. Hotel units provide all comforts. 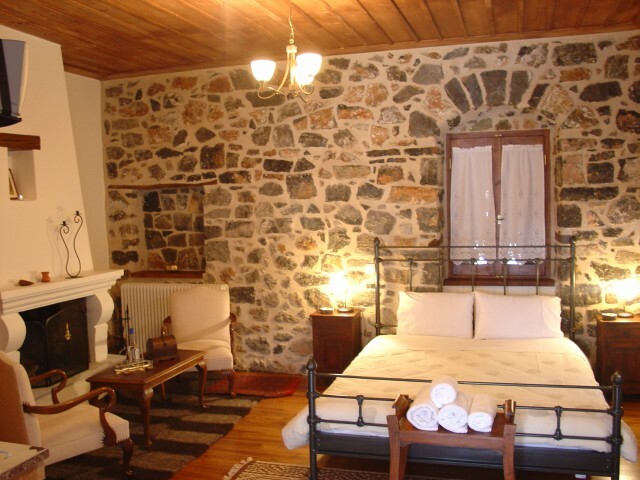 Many old stone houses have been also renovated and operate as guest houses. All these give the region a baronial feature. The heart of this beautiful town beats at the central square, with the church of Saint Trifonas, an outstanding creation of local architecture. It is made from the famous black marble the region has. Next to the church is the city hall, while around the square you will find taverns, coffeehouses and shops with local products (dairy products, pasta, honey, herbage, walnuts and pulses). Don’t miss buying handmade wooden utensils and decorative, as Vytina has a long history in woodcarving. Worth visiting is the Municipal Library roofed under a historic building, the “Hellenic School” and has a remarkable collection of old and more recent publications. Really impressive is the collection of the Folkloric museum, roofed under a new-built structure. Vytina has many historic churches that attract thousands of believers. Among them distinguish the church of Saint Apostles dated from the 16th century, the church of Dormition close to Valtesiniko, established during the 17th century, with unique gilded icons. A few kilometers from Vytina is the monastery of Panagia Sfyrida with a fantastic view. During the period of Turkish possession the monastery operated as a secret school. Been to Vytina ? Share your experiences!